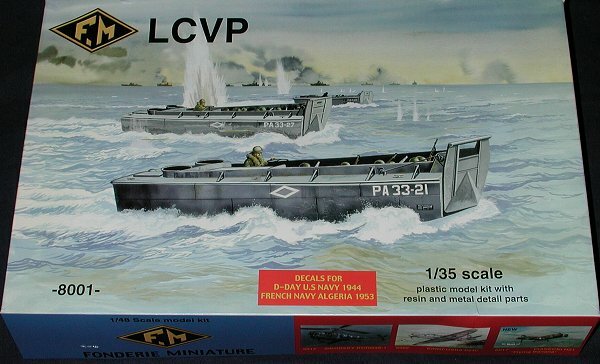 Probably the most built boat of WWII was the LCVP (Landing Craft, Vehicle/Personnel. Over 22,000 were built by dozens of contractors and subcontractors. The designer of the boat, Higgins Industries, gave license and royalty-free permission to any nation to build the boat for the duration of the war, something you'd never see a company do today. Various shipyards were given blueprints for the basic design and allowed a great deal of liberty to make changes and modifications. As a result, you'll find differences in ramp shape, rudders, some interior components and superstructure shapes. However, the basic design of the boat was the same regardless of who made the boat. They were used in all Allied amphibious operations in both the Atlantic and Pacific theater. These rugged little boats were also used for years after WWII in operations by the French in various theaters and by the Allies in Korea. In fact, these boats were still in use up until the attack transport was no longer the main troop carrying amphibious ship. Now motorized amphibious transports are utilized so that they can carry troops up past the beach. Well this is definitely something that one does not see every day. It is the kind of kit that diorama people will be sure to embrace. One thing for sure, you'll be getting your money's worth in terms of parts. Though most think of an LCVP as being mostly open space, you'll be gluing in all the interior bulkhead braces and stringers. The molding of the kit itself is fairly good with some parts having a slightly pebbly surface texture. You'll also have to deal with some flash, ejector pin marks and sink holes. In fact, all of the large parts exhibit some or all of these features, though thankfully, they are not a major problem. However, this is a short run kit and so these things are to be expected. There are also several parts in resin and metal. These are pretty well limited to the machine guns and their mounts in the aft portion of the boat. Both the resin and metal pieces will have to be cut from their molding blocks and cleaned up. The detail on the resin parts is quite good and on the metal bits is excellent. FM also gives you some string to use in place of the steel cables that were used on the boat. Don't lose it as you'll need it. The instructions are perfunctory but adequate for building the kit. All of the important construction steps are shown and there are some ancillary drawings to help with some of the more detailed bits. No color drawings are given, but there is a short paragraph that tells you to paint it navy grey with a bronze prop and gunmetal machine guns. 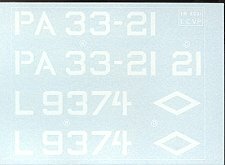 There is a small decal sheet that gives two different boats. One used during the D-Day landing and another used for landings in Algeria in 1953, though I think they meant Indochina vice Algeria. The decals are fairly well printed, a bit matte and the white appears to be a bit transparent. 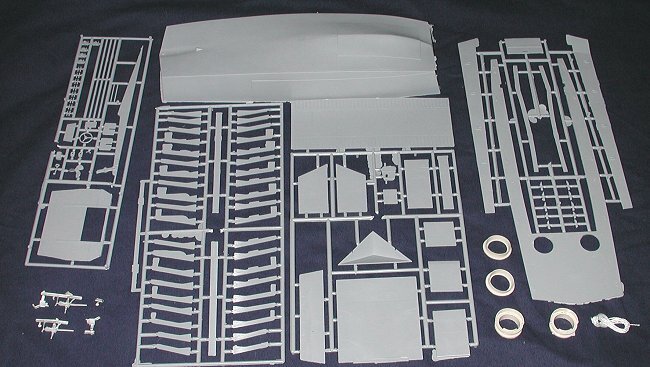 If you are like me, you'll be watching 'Away All Boats' for more details on doing this kit! These kits are not for beginning modelers, but this one would be a good one for an introductory short run kit. Most of the areas that may need work are flat and easily accessible so any possible problems should be easily overcome. I'm sure that the subject of the kit is one that would induce many to give it a try. It should spawn a number of very nice beach landing dioramas!